Well, he finally did it. Ben finally bought a toy he’s been talking about buying for years. Say hello to Godfrey and Bartholomew, our Foosball forwards on Team Yellow. They even have little faces on them. Ben has been pining away for a “professional foosball table, not a cheap crappy one” (his words, not mine) for geeze, like 10 years? His old company had one in their break room so he got pretty good at schooling people. So anyway, he’s been saving up any extra money he gets and has been browsing the ol’ Craigslist for a good quality used one. 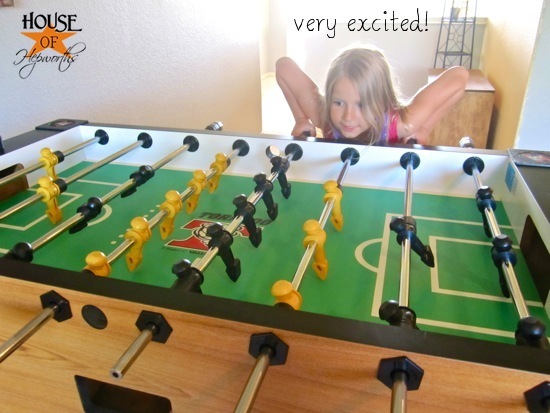 A few weeks ago he found a Cyclone Foosball table for $400. Brand new these things are more than a grand. So he raced out and purchased that sucker within the hour. 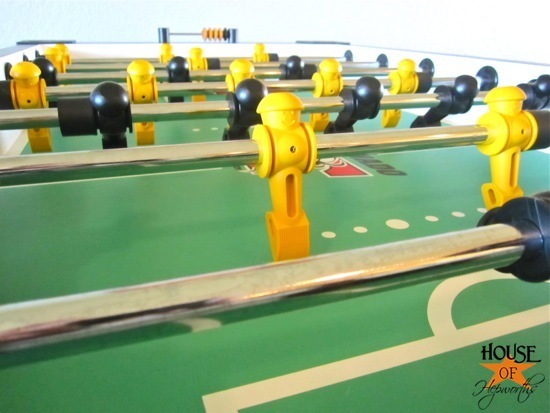 I have never wanted a foosball table! They are so lame. Well, I’m eating my words because this table is so FUN! It is amazing how much more fun it is to play foosball on a pro-quality table as opposed to a $50 one from Wally World. She is ready for the kill! Ha! 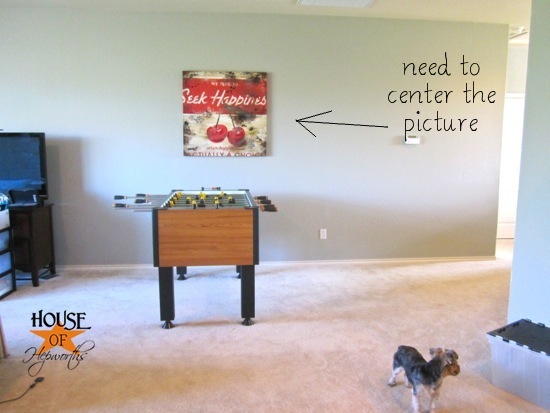 The foosball table isn’t really doing anything for the game room though, decor-wise. Instead of fighting this huge eyesore and trying to decorate around it, I’ve just decided to embrace the concept of a real “game room” and will incorporate the table when I finally get around to decorating this room. Do you like how I just decided to not clean or shove any crap out of the way for the pictures? Welcome to my real life. 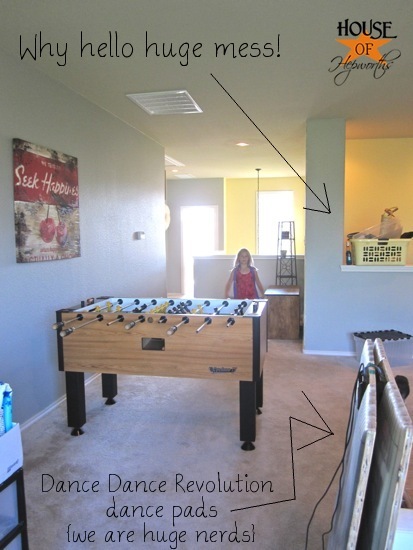 We’ve already established that we’re super nerds over here (hello foosball table and DDR Pads), but what about you? On a scale from 1 to NERD, how nerdy are you? 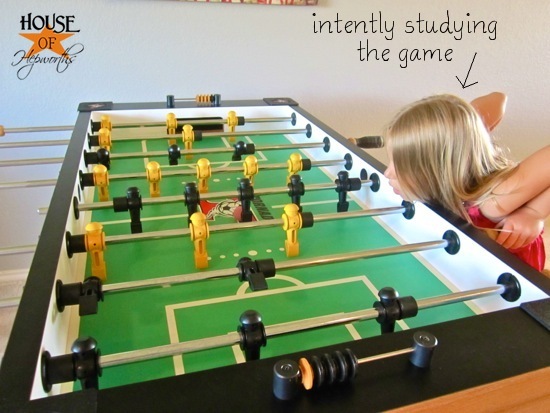 And for all my international friends, do you have foosball or is this an American thing? I would imagine you have foosball since soccer (futball) is more famous outside the States than in, but what would I know? And for the record, I’m changing my decorating style as of this very moment. I’m not going to sacrifice fun and living to have a home that looks like a model home. I will decorate my home with the intention of living in and enjoying the space. If that means owning a foosball table and a Mrs Pac-Man arcade game, then so be it! And while I’m on a tangent… our living room will always have a tv. And our couch will always face the tv, not the fireplace. It’s called real life, people. This is my real life. And I love it. 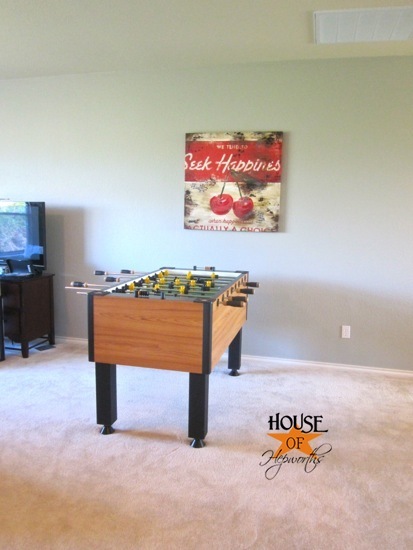 Now please excuse me… I have a foosball tournament I need to finish. Our house definitely leans more towards the NERD end of that scale. There are only two of us living here, and between us we own twenty four game consoles. Not all of them different, there are a few double ups. There are four computers currently set-up in our living room. New games, and new game consoles, are purchased on release day in these parts. I actually had to give up my bookcase to be used as a game case, because the games get far more use than the books (which now live in our spare bedroom rather than the living room), and the boxes we were storing them in started to disintergrate under all the riffling through them we did. It is my boyfriends dream as well to own a Mrs PacMan arcade game, but they are very hard to come by in Australia. One day. Maybe. Yeah, really, really far up the NERD end of that scale. LOL every home needs something nerdy, we have our fair share for sure. My husband built an arcade. Yeah for me! At least you have a game room to put it in. But seriously, here in Germany, most people (except me) are soccer crazy, so these things are very popular around here. The word is actually of German origin (we just spell it Fußball, but the pronunciation is the same). By the way, the European Soccer Championships are on these days. I wonder if they show anything about them on TV in the states? If it makes you feel better about your pinterest followers, you probably didn’t lose a single one. I can’t remember which site I was reading this on, but basically Pinterest recalculated how they consider a follower (based on if they follow all, or just a few of your boards). As well, due to the massive growth they had in such a short time period, some of their calculations were off and some people were double counted or not counted at all as followers. A couple of weeks ago they adjusted all the follower counts so that they are truly accurate. Mine grew by 75 overnight, other people “lost” numbers, even though they didn’t actually lose any people. 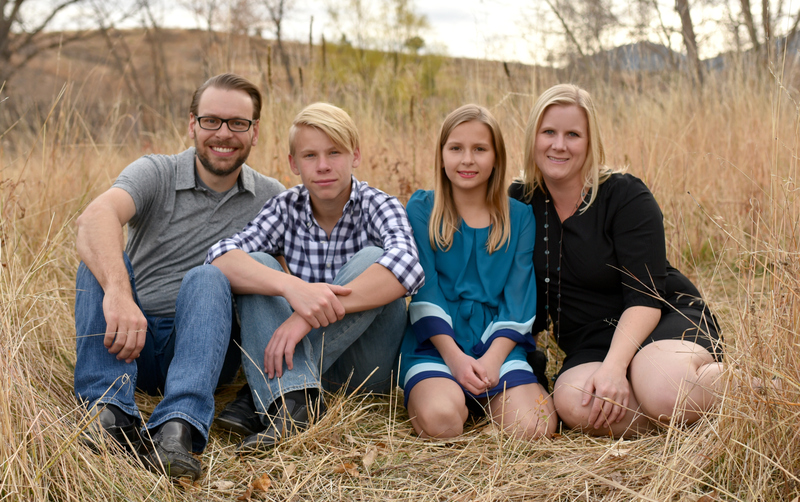 Love that you are keeping it real and putting family before decor! Too many blogs I read have nothing in the home for the KIDS! This is an awesome idea and something you can do as a family. You ROCK! Ha, I cracked up about the couch facing the tv! Ours will always face the tv too and will never be conversation style. I get that comment like every time I talk about our living room! hahaha. In response to the last couple paragraphs: True dat! My four year old daughter just discovered foosball at a local outlet mall in a bike gear shop. Totally random, but now she’s hooked. My husband is planning a little purchase of his own! You go, Girl! Life is too short to not have fun every chance you can. I’m glad you mentioned the Pinterest thing. When I checked, you were no longer on my “following” list. Sooo…..since I can’t do without my HOH (anyway I can get it), I just added you back! Easy as pie! Not so easy trying to “unfollow” the ones I never asked for. Of course, the “unfollow” button is broke. I live in the States, but we were visiting Italy like 10 years ago and somehow got invited to play in a human foosball tournament in a local’s backyard. They had PVC pipes inside eachother and strapped us humans to them to act like the little foosball guys. It was one of craziest experiences ever. We were “Team USA” there were 8ish teams in the tournament and even a crowd watching! So i’m guessing in Italy they play foosball. I work at a web design company with a ton of creative people, so we have a fooseball table and darts in our backroom for them to take breaks and goof off. It makes for a really fun work environment sometimes. It’s a funny post with all the pictures and ‘huge mess’!